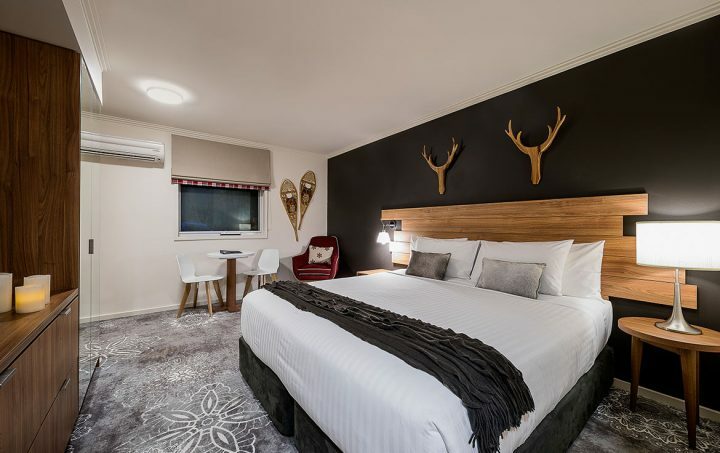 The Sebel Pinnacle Valley Resort enjoys four star accommodation in the heart of the Victorian High Country, just half an hour from the Mt Buller Ski Resort and twenty minutes from the township of Mansfield. 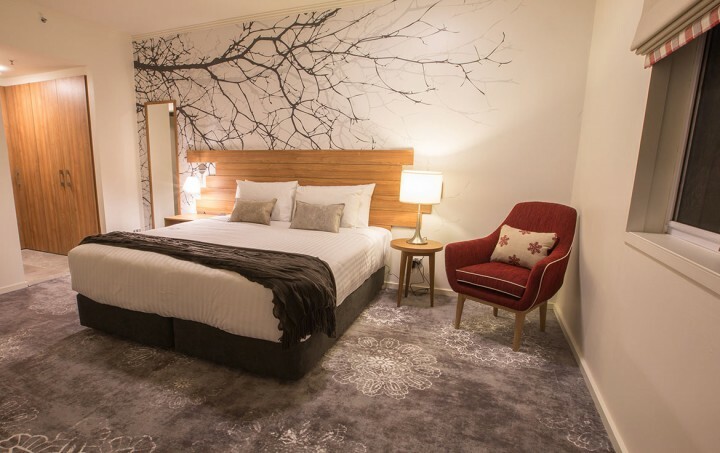 Nestled in the Victorian High Country, just half an hour from the famous Mt Buller ski fields and surrounded by rivers, lakes, mountains and wineries, the resort is an ideal all-seasons holiday destination. Relax and soak up the sunshine by the pool in summer, or hit the nearby ski fields in winter. Guest Laundry: Complimentary guest laundry is located on level 1 of the main hotel building. Internet: Due to the remote location of the Resort, limited Wi-Fi is available for Resort guests. Guests can access free Wi-Fi at the Reception/Restaurant during Reception hours. Please note due to the location of this property, Telstra is the only service provider available with limited mobile/internet coverage. Ski hire is available. Please contact the hotel to pre-arrange your hire needs and professional fitting. Personal ski equipment drying cupboard available in the main accommodation build. Contact Reception to arrange: horse riding, bus transfers or tour bookings, tennis racquets, mini-golf putters, bike hire, rowboat and canoe paddles, fishing rods, archery, volleyball and a range of other sporting equipment. Complimentary outdoor car park is available for guests usage. No undercover car park at the Resort. The resort is only 10 minute drive to the gates of Mt Buller ski fields, a daily transfers are available during the ski season via Ski Express (charges apply). The Sebel Pinnacle Valley Resort is approximately 2.5 hours drive from Melbourne Airport. Complimentary outdoor resort car park available. Please be advise the Ski Shop is open during the winter ski period only. Located on levels 1, 2 or 3 of the main accommodation building, Studio Apartments feature a comfortable king size bed which can be split into 2 king single beds, kitchenette facilities, heating and cooling, cable TV channels and a DVD player. Maximum 2 people, no extra bedding. 1 king bed and 1 sofa bed. Located on levels 1, 2 or 3 of the main accommodation building the spacious 1 Bedroom Apartment features a king size bed which can be split into 2 king single beds, double sofa bed lounge, full kitchen, laundry facilities, cable TV channels, DVD player and mini stereo. Maximum 4 people. 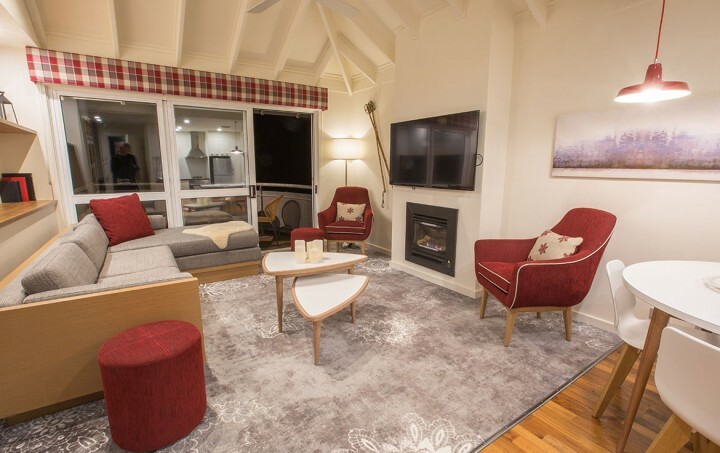 Chalets offer spacious split level living with air conditioning, heating, gas or electric log fireplace, LCD TVs, DVD player, kitchen, ski drying cupboard, balcony and 1 bathroom with shower over large bath. A king size bed which can be split into 2 king single beds in master bed, level 2 loft bedroom consist of 2 single beds which can be zip together, plus sofa bed in the living area. Maximum 6 people. Accor Vacation Club Members receive 20% discount off food in the restaurant upon presentation of your Membership Card when dining. Maximum 10 guests per table. Contact Reception for opening hours on the Resort Peaks Restaurant. Stock up on groceries and essential items prior to your visit at the township of Mansfield, approximately 25km before you get to the Resort.